A Montreal man accused of killing his first wife and three teenage daughters denied prosecutors' allegations and insisted his dead children had been "cruel," while testifying in his own defence. Mohammad Shafia spent several hours in the witness box recounting his family's history, occasionally breaking down in tears as he answered his lawyer's questions Thursday at the jury trial being held in Kingston, Ont. Crown prosecutors then cross-examined the family patriarch for the remainder of the day, pressing him on wiretap evidence, and his dead daughters' allegations of domestic abuse and dysfunction in the Afghan-Canadian family. Shafia, 58, is the first defence witness to be called in the canal deaths trial. 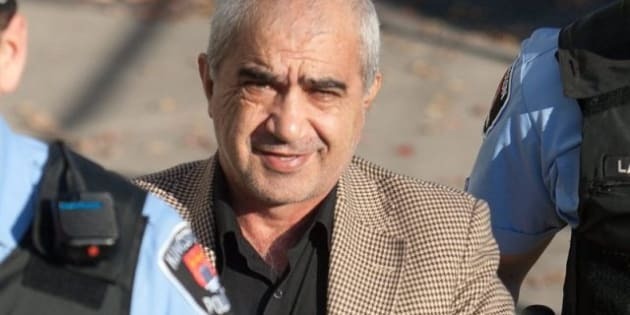 He has pleaded not guilty to four counts of first-degree murder, along with his 41-year-old wife, Tooba Yahya, and their 20-year-old son, Hamed.